Marguerite director Marianne Farley has definitely created something special with this film. Marguerite reminds us that it comes down to it, love ALWAYS conquers all. A breathtaking film packed with emotion, it is no wonder that it has become eligible to be considered for a 2019 Academy Award. We hope it gets to the nominations and eventually wins the Award. We thank Marianne to taking the time to talk to Just Celebrity Magazine about her film, getting her thoughts behind the inspiration and production of the film. Hi Marianne, how are you doing? Hello. I am doing very well thank you! I hope you are too. Congratulations on this wonderful and emotional movie. Where did the story of Marguerite come from? First of all, thank you so much for the amazing feedback! The story of Marguerite came together in my mind for a few reasons. First being that in all of my projects, a connection is always the driving force behind the story. The idea that two people can inspire each other and impact each other’s lives in a meaningful way moves me deeply. The story of Marguerite came to me when I realized how lucky I was to have been born at a time (and in a country) that allows me to be who I am and love who I want. I have never had any taboos about sexuality because I wasn’t raised that way. But for women of my grandmother’s generation, it wasn’t so. They had to marry and have children. Most of them didn’t work and their primary focus was to make their husband happy. It was never about the women’s needs and aspirations. When it comes to love, desire and sexuality, society had very rigid rules back then. And unfortunately in many countries that is still the case. 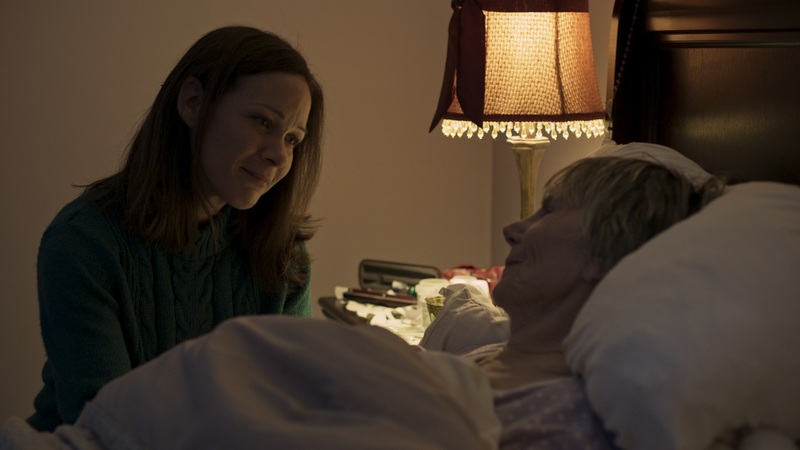 In my film, the character of Rachel (the nurse) is able to express herself in a way that shocks Marguerite at first but in the end, it opens her up to a much more inclusive view of the world. That moment of vulnerability is what I wanted to bring to the screen. 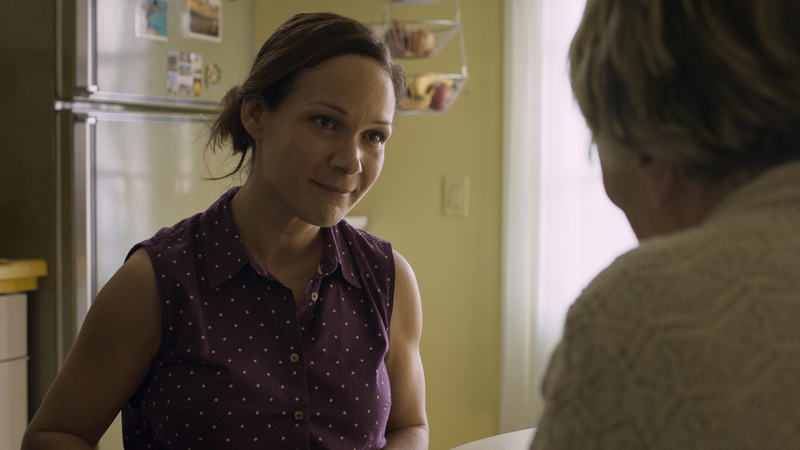 In this film, it’s all about the connection between Marguerite and Rachel so the bond between Béatrice and Sandrine needed to be very strong as well, which it is. How did you come across them? The funny thing is that Béatrice and Sandrine knew of each other but they had never worked together before. They met for the first time when we started rehearsals for the film and they bonded right away. I wrote the part of Rachel for Sandrine. She is a great friend of mine but Béatrice I had never met before. Obviously, I knew OF her because she is quite renowned in Quebec (Canada) but I had no idea if she and Sandrine would hit it off. I usually trust my intuition in these matters and I was not disappointed. Their unique chemistry, generosity, and mesmerizing talent made it to the screen. Marguerite is about different important life topics such as love, friendship and growing older. What do you hope people will take away from this movie? I really hope that people will be moved by the film. That it will possibly make them reflect on their own life. It’s a cliché but life is short and the most precious thing we have is human connection. Nurturing those human bonds I believe is the key to happiness. That being said, the most important relationship we have is with ourselves. Self-acceptance and self-love should be our priority. The tragedy behind MARGUERITE is that she never got to experience that. Through Rachel she gets a glimpse into a life she could have had. It’s sad but beautiful at once. The film already won a lot of different awards at very prestigious film festivals, which is well-deserved. Did you ever think that this movie would be this successful? I have been very fortunate! You never know how your film will be received and MARGUERITE has had quite a festival run. In all honesty, it took many months before it got its first selection. For a while, I even had thoughts about it not travelling at all. But every film is different and every film has it’s own path, it’s own journey. And I had to respect that MARGUERITE is a late bloomer kind of like the character of Marguerite! Apart from writer and director, you’re also an actress. Where did the passion from the film industry come from? When did you decide you wanted to become part of it? I’ve always wanted to work in this industry. As a child, I was fascinated by the art of storytelling. I was fascinated by the art of moving people through story. That is what I am most passionate about. I also believe that film can have a huge impact on people’s lives. Its transformational potential is quite remarkable! And so, after singing for a few years I became an actress. It was a natural progression for me. But as an actress you are there to serve someone else’s creative vision and, although I love the work, I yearned to explore my own creativity. I was also fascinated by the intricacies of the filmmaking process from beginning to end. So I started putting together projects, producing and directing. I appreciate having the opportunity to be able to manage all three at this time. Do you have any advice for young actors, filmmakers, producers, writers, etc. who wants to gain more experience in the film industry and get their foot in the door? I don’t think there is just one road to success but I wholeheartedly believe that no matter what your goals are, the first step is to face your fears. There is no magical recipe. Resistance and fear are part of the creative process and the only way through them is to be out there. Put together projects and find creative ways of getting them written, made and seen. Just do it! Don’t wait for your lucky break. Create your break! It’s a lot of work but if you truly believe you have something to contribute, to say, trust it and work through your resistance. One more last question: Do you already have upcoming projects in the future? I am presently writing another short film that I will hopefully shoot early 2019. I also have a few other projects (feature films) in development and a feature film as an actress and producer. The film is called LES NÔTRES. It is directed by Jeanne Leblanc, co-produced by Benoit Beaulieu and it will be coming out in 2019. We are presently in the postproduction phase.